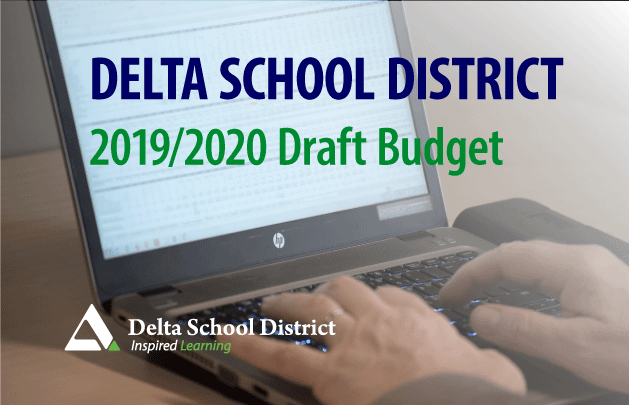 April 10, 2019—Delta, BC—Delta School District staff is pleased to be able to put forward a balanced draft budget for the 2019-2020 school year where no reductions have to be made. The Delta School District is committed to Our Bold Vision of being a leading district for innovative teaching and learner success. The District is focused on providing the best learning environments possible by placing the learning needs of all students first. Enable all learners to succeed and contribute their full potential to the future. CONNECTEDNESS: All students will have at least two adults in their school who believe that they will be a success in life. READING: All students in the Delta School District will achieve grade level literacy by grade three, with the first three years of this goal focusing specifically on reading. How is my learning going? GRADUATION: All students will graduate with dignity, purpose, passion, and options. Delta School District staff and the Board of Trustees are committed to a thoughtful and student-centred approach to balancing the budget each year. A balanced budget is a stipulation of the School Act. The Operating Budget for 2019/20 is $160.853 million. The District anticipates a growth in enrollment of 10 full-time enrolled (FTE) students for the 2019/20 school year, bringing the student FTE total from 15,397 in the 2018/19 original budget forecast to 15,407 FTE students forecasted for the upcoming year. Recent Provincial funding announcements have contributed to the Delta School District reporting a small surplus of $63,000. Increase Per Pupil Funding. I.e. Regular per pupil funding increased by $45/FTE. New funding to Inclusive Education, Indigenous Education, and English Language Learners (ELL) will bring service expansions to better address student needs. This funding is included in the overall Operating Budget of $160.853 million, and exists as separate and allocated funding to be used towards these specific areas. Assurance of adequate funding for the difference between the new Employee Health Tax (EHT) and the legislated MSP reduction. Delta School District is committed to fulfilling our staffing needs within the classroom, and across the district in as timely and consistent manner as possible. As such, it is recommended that the $63,000 surplus be allocated to an additional HR Coordinator (CUPE) position to assist with the growing needs for recruitment and employee services.